Wow, it is 10-years to the day, on this day back on 26th March 2009 that I first wrote not only my first blog entry but also started my first blog here. This blog started as way to share some of the projects I was working on and also some of the techie things that interested me. Much has changed in these last 10-years. We’ve seen the rise of the maker community. The establishment of the maker ecosystem. The adoption of cheap development platforms such as the Raspberry Pi, Arduino, Beaglebone Black and many others as not only great educational devices but also serious tools. So what have been the highlights? Attending and meeting numerous makers at the various Maker Faires and maker events I visited and participated at. Making many new friends through the maker communities. Getting one of the very first Raspberry Pi’s back in April 2012 and then being persuaded to give one of the very first public talks about what a cool thing its was. Spreading the maker idea and gospel via our own local eDay events. I wonder where will the next 10-years take us? For PropBerry, I was thinking using a Parallax Propeller* (or just Prop) as a super i/o co-processor for the RPi where the Prop would be used to offload the real-time I/O and let the RPi handle the higher program features. After talking about this combo on the Parallax forums, the Props VGA video capabilities were mentioned which got me thinking about using the PropBerry as a VGA serial terminal console and shelve the i/o co-processor idea for now. The Parallax community is great and they’ve released a lot of good stuff. One of the things I remember (from about 2009) was Vincent Briel’s PockeTerm terminal software for the Prop. 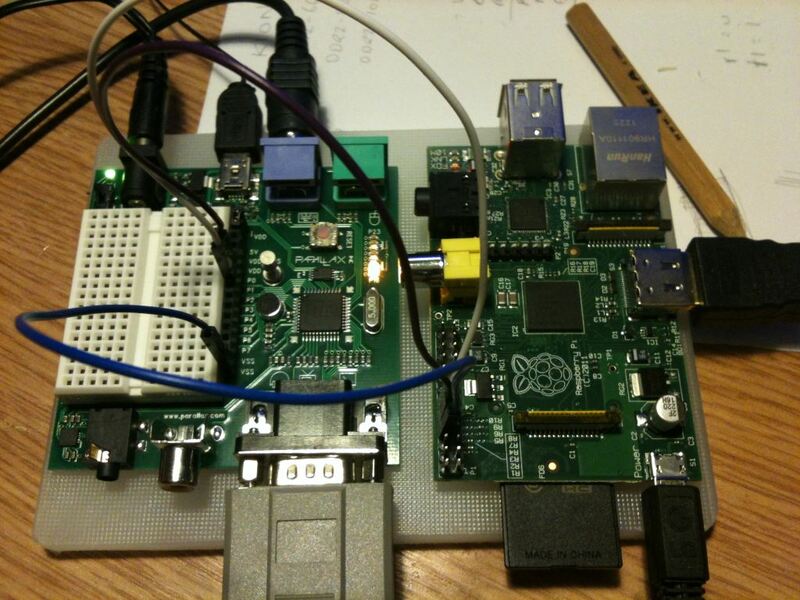 Using this on a Propeller Demo Board gives us a VGA video output and PS/2 keyboard for user input. 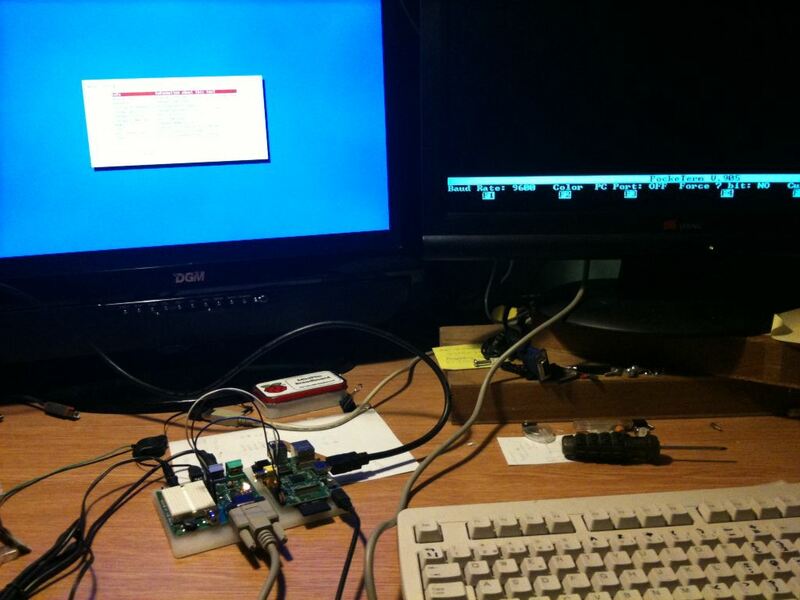 A serial interface connects the Propeller demo board to the Raspberry Pi.